The open boat Island Hopping from Fun & Sun is a great concept. 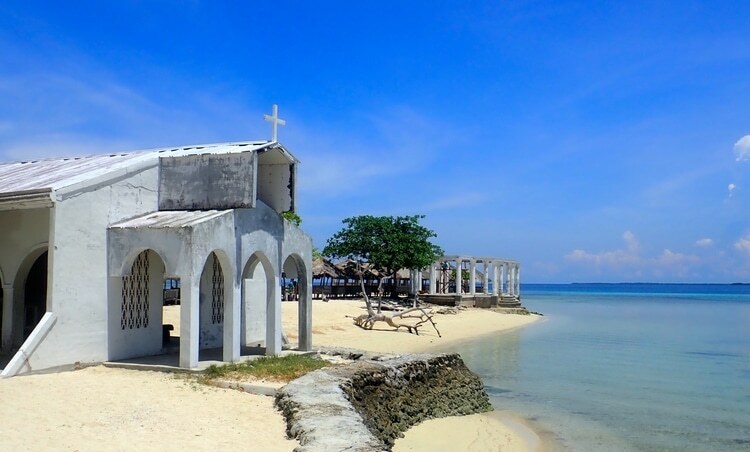 You join other island-hoppers in a wonderful day of snorkeling in the waters around Mactan. It is run daily. The boat leaves at 9am from Fun & Sun Dive center in Marigondon to its first stop in Hilutungan marine reserve. 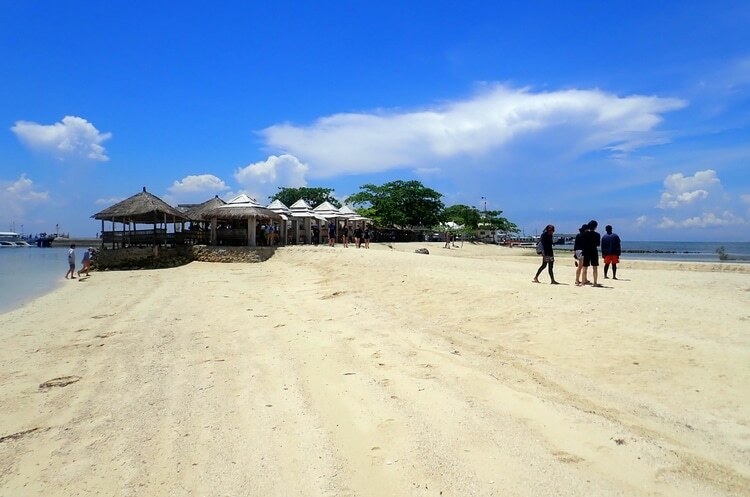 After about an hour of snorkeling, you move to the island of Pandanon and its nice sandbar. 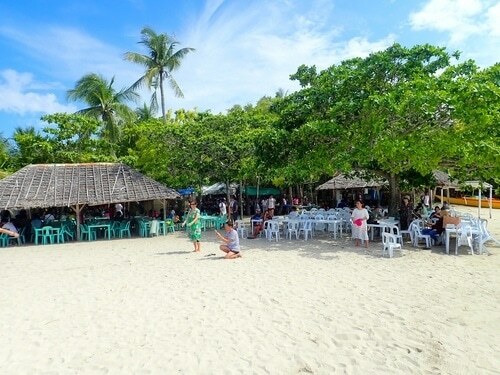 After a yummy BBQ lunch, usually eaten on the comfortable boat, you can discover the island and lay on the sand. Finally and on your way back to the dive center, you stop for a final swim near the island of Nalusuan. This Island-Hopping tour usually ends at around 3:30pm, back in the dive center. The price is 2500 PHP per person with the BBQ meal, 1 drink, towel, life jacket and snorkel set included! 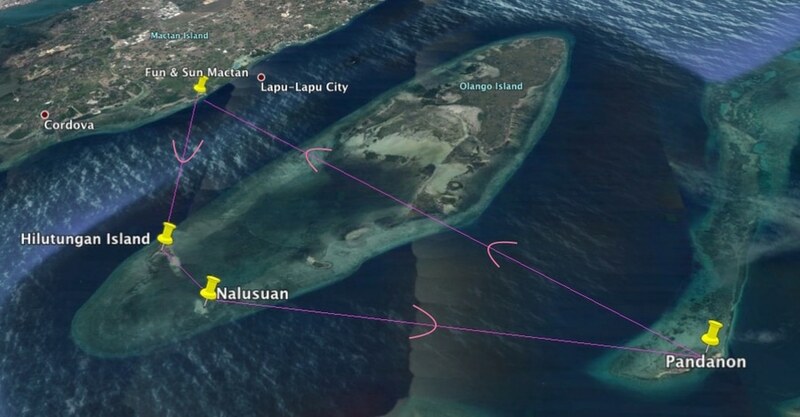 The second itinerary starts with the same place, Hilutungan marine reserve. After about an hour of snorkeling, you move to the island of Nalusuan where you can swim more. 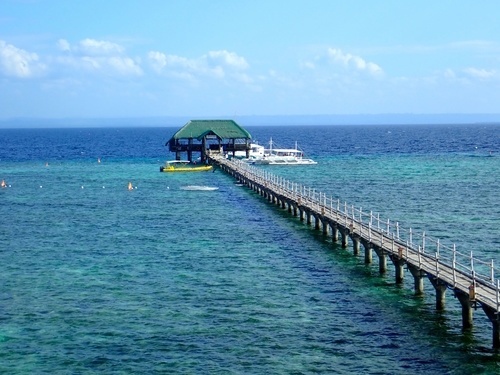 You can explore the island and its long wooden pier too. 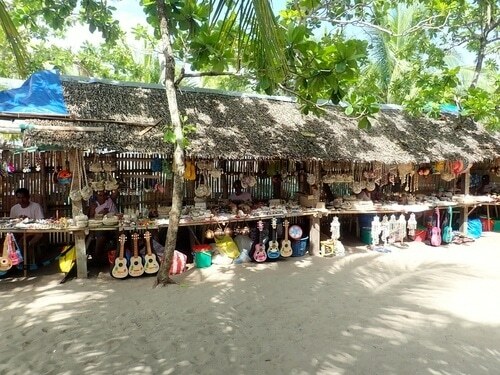 Finally, the last stop is the island of Caohagan and its nice sandbar, its seafood and souvenirs vendors. 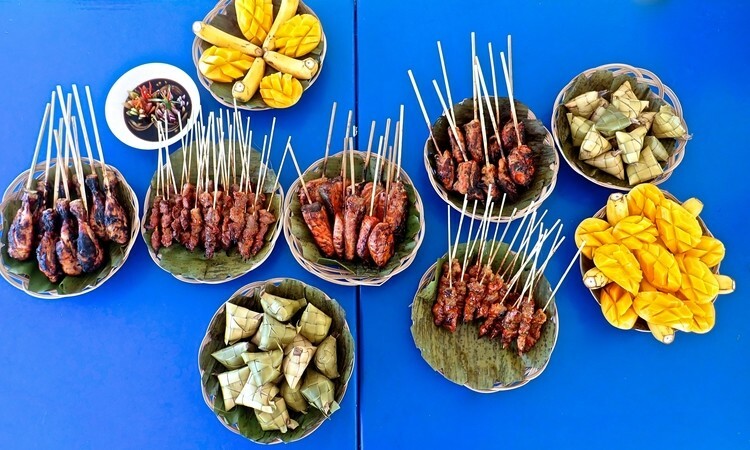 This tour ends at around 3:30pm and the price starts at 2750 PHP per person with the BBQ meal, 1 drink, towel, life jacket and snorkel set included! Upon demand, there is also the possibility to do an Introduction to Scuba diving during the trips! You will spend around 30 minutes underwater and experience how it feels to be a diver and to swim like a fish! You can register to these shared Boat trips calling our office in Mactan at 0917 6247129 or at [email protected].